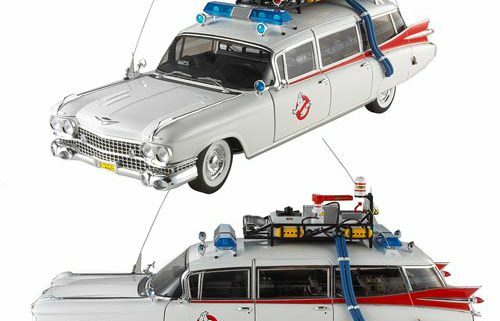 Ghostbusters Ecto-1 Hot Wheels Heritage Die-Cast Vehicle Coming in March - Horror News Network - The Horror News You Need! 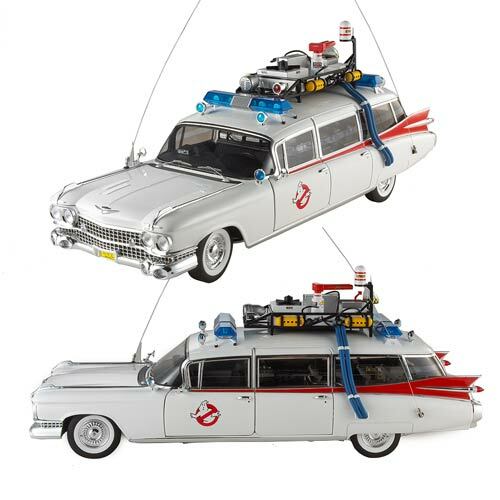 This 1:18 scale, die-cast Hot Wheels Heritage Ghostbusters Ecto-1 Vehicle is a must for dedicated Ghostbusters fans. The Ecto-1 is featured in the original Ghostbusters movie and is based on a 1959 Miller-Meteor Cadillac limo-style ambulance. You know who to call!